Flu, gastroenteritis and vape? Which report ? The influenza epidemic currently affects the entire metropolitan territory and some overseas departments. However, the peak of activity in mainland France is probably not yet reached. If Public Health France is currently giving recommendations, we also take the opportunity to remind the vapers that during an epidemic it is important to take some precautions with the material of vape! BASIC PRECAUTIONS BY PUBLIC HEALTH FRANCE! Wear a disposable mask when presenting with flu-like symptoms, especially in contact with frail persons (elderly, immunocompromised, young children, pregnant women). 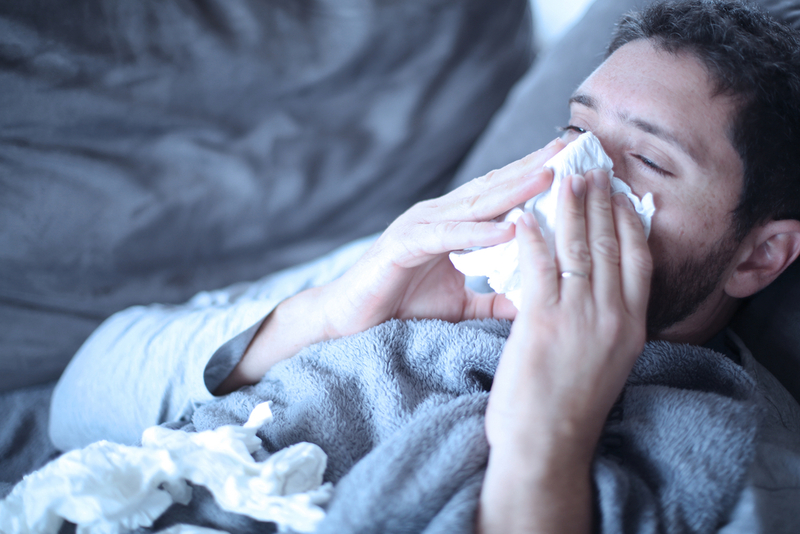 Prevention is essential to reduce the spread of winter viruses, including seasonal flu. These viruses are easily transmitted by the coughing, sneezing, postillion and saliva of infected persons, by the direct contact of the hands of one infected person to another, by the contact of objects contaminated by a sick person but also by air, especially when a sick person occupies a closed room (bedroom, waiting room, office, etc.). VIGILANCE IN SHOP AND WITH YOUR VAPE MATERIAL! In the shop, check that the test drip-tips are protected or cleaned. Clean his equipment several times a day with hydroalcoholic gel (for example). To do this simply apply the disinfectant gel on a new microfiber cloth, let it act then pass a clean cloth moistened with clear water by wiping. We recommend the use of the product "Aseptivape", an antibacterial and fungicidal cleaning product to maintain your drip-tips and testers in the shop. Simple and practical, it will allow you to avoid the transmission of viruses. To use it, lift your drip-tip and apply one to two sprays after a few seconds. Wipe with a clean cloth or paper towel. To clean and disinfect the inside of the drip tip, spray the product on a cotton swab and insert it inside the drip tip. If your e-liquid bottle or your clearomizer seeps or leaks, clean it with a clean paper towel. Whenever possible, avoid using your e-cigarette in a closed room with other people. Priviégier the outdoor spaces.